This successful book has been completely revised and updated and is a comprehensive overview of the principles and practices of planning rural and urban environments. Introducing general ideas rather than specific practices, the book assumes little prior knowledge and includes concise introductions to the nature and purpose of town planning; wildlife and landscape protection; and pollution control. 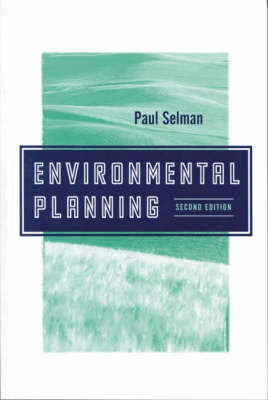 This edition pays particular attention to the scientific and social scientific background to environmental planning. Specific topics covered include: environmentally-sustainable agriculture; mulit-purpose forestry; the management of designated areas; urban wildlife; land resource evaluation; and environmental impact assessment. The conclusion reviews methods for managing information and making decisions. "This book is well worthwhile reading, both student and practitioner could benefit from having it on hand to refer to on a daily basis."